During the Nome, Alaska gold rush of 1900, a man with a tragic past sends for a sober-minded bride to help him raise his young nephews, but he receives a cheery and adventuresome woman who tests his determination to hold her at arm’s length. 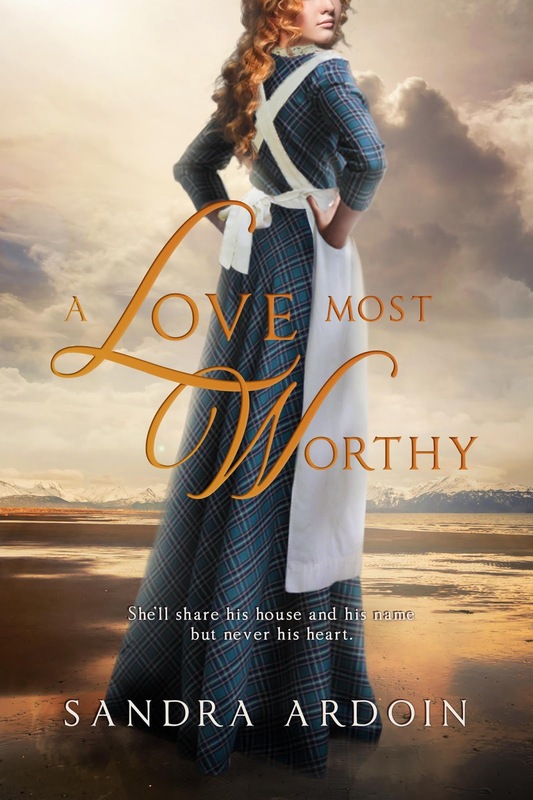 And now let's meet novelist Sandra Ardoin, author of the historical romance, A Love Most Worthy (Independently Published by Sandra Ardoin, February 2019). As an author of heartwarming and award-winning historical romance, Sandra Ardoin engages readers with page-turning stories of love and faith. Her novel A Reluctant Melody won the 2016 Grace Award, and she’s been both encouraged and humbled by the responses to it and her novella, The Yuletide Angel. A Love Most Worthy is her third published book and is available in e-book on Amazon. Rarely out of reach of a good read, Sandra is also an armchair sports enthusiast, country music listener, and seldom says no to eating out. When I was young and single, my motto was “Love me, love my horse,” because, hey, you didn’t get one without the other. I won’t mention how long I stayed single. Well, I hope you stuck to your guns. Or, at least to your horse. I assume a good horse-loving man can be hard to find. Please tell us a bit more about the plot of A Love Most Worthy. Hallie is spirited and embraces adventure, however, all she really wants is to be a cherished part of a family. Rance’s attitude reinforces the belief instilled by her father that she’s of no more value than the cook stove. For Rance’s part, his past won’t allow him to trust his own judgment, and he won’t risk the safety of his nephews—again. The one who sticks out to me is Bane from Elizabeth Camden’s Against the Tide. He’s a dangerous and mysterious prankster. I love that whenever he’s near Lydia’s desk, somehow, things get moved around. It drives the OCD heroine crazy. What a fun personality conflict. I recently finished Nancy Mehl’s new novel, Mind Games. It’s different from the typical “romantic suspense” and had me guessing the whole way, taking various twists and turns. I’ve read a number of her books and, in my opinion, this is the best. Right now, I’m working on a historical romance Christmas novella. I’m also developing a plan to release it in the fall as the prequel to a series of three additional novels. 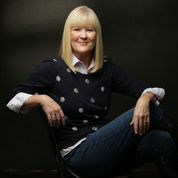 I hang out on my website at www.sandraardoin.com as well as on Facebook, Twitter, Goodreads, and Pinterest. Be sure to follow me on BookBub to get my new release alerts and my reading recommendations. Readers, I also recommend that you become part of the Love and Faith in Fiction newsletter community to keep up to date on what I’m working on, along with fun tidbits and specials. Thank you so much for having me on your blog today, Trish. What great questions! Readers, I look forward to interacting with you here today and other places online in the future. If you’re attending the Christian Fiction Reader’s Retreat in April, be sure to locate me and say hello. Thank you, Sandra, for visiting and telling us about yourself and your book. 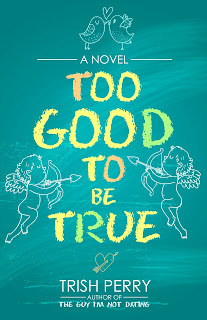 Readers, Sandra has offered to give away a free e-copy of her novel. To enter, leave a comment and your email below in answer to Sandra's question, above. "Please enter me" won't get you entered. Remember that U.S. subscribers are entered an additional time in each drawing. The drawing is done by email, so leave your email address, like so: trish[at]trishperry[dot]com. Someone is threatening a high school English teacher, and Nancy Daley is determined to find out who is behind the threats. 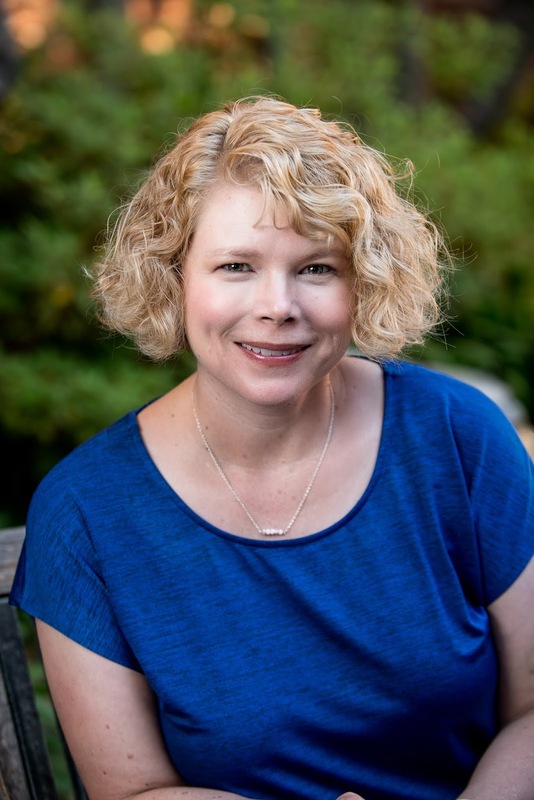 And now let's meet novelist Kimberly Rose Johnson, author of the romantic mystery novel, The Sleuth’s Dilemma (Mountain Brook Ink, February 2019). At age ten I knocked myself out by doing a death drop on the bars at school. Ah, the joys of being a "tom-boy." I remember the face plant I did in the process of learning the death drop. We're lucky we didn't break our faces, aren't we? 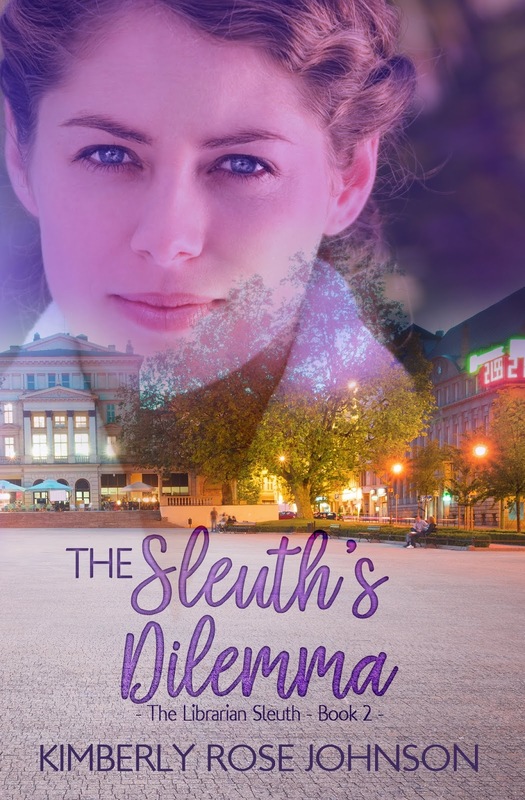 Please tell us a bit more about the plot of The Sleuth's Dilemma. Plenty of intrigue in that one! What is it about Nancy Daley that will make your readers care about her? Nancy loves a good mystery, and she loves to help the people in her life. Sometimes that means doing crazy things, which put her in harms way. She also is the town’s librarian and loves books so much so that she takes on some of the vocabulary from whichever book she is reading. Believe it or not Trish, I just finished reading one of your books. Together by Design captivated me from the opening line. I don’t usually read books fast, but I did with this one. I'm flattered, Kimberly! I'm so glad you enjoyed Elena's story. She certainly has her hands full. I am currently writing the final book in the Librarian Sleuth Series. It’s set to release in November of 2019. We'll definitely have to have you back to feature it. You can access all my social media outlets and subscribe to my newsletter from the homepage of my website. kimberlyrjohnson.com. I recently joined Instagram so that link is not there. My handle is kimberlyrosejohnsonauthor. Have you ever solved a real life mystery? If so please tell us about it. Thank you, Kimberly, for visiting and telling us about yourself and your book. 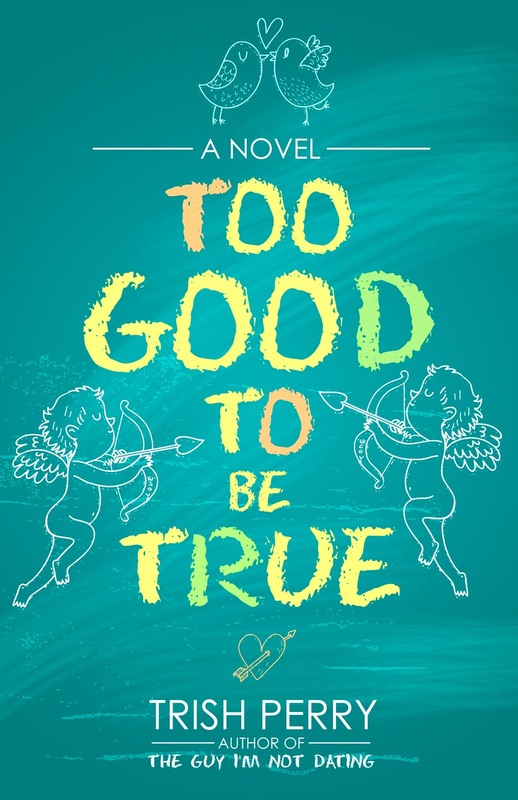 Readers, Kimberly has offered to give away a free e-copy of her novel. To enter, leave a comment and your email below in answer to Kimberly's question, above. "Please enter me" won't get you entered. Remember that U.S. subscribers are entered an additional time in each drawing. The drawing is done by email, so leave your email address, like so: trish[at]trishperry[dot]com.